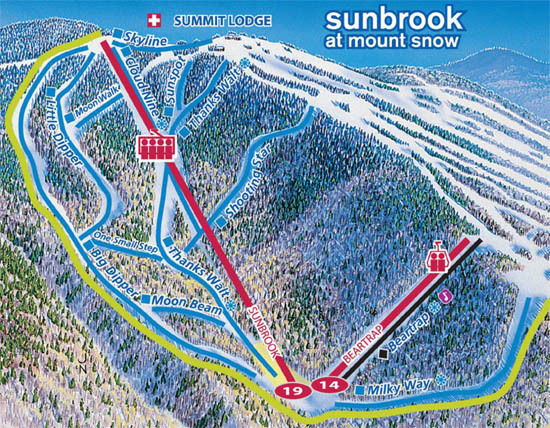 Advertised as a third mountain area, the Sunbrook complex first opened with lift service in January of 1970. 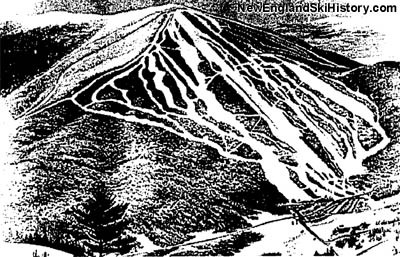 The original development was composed of three trails - two long intermediate runs from the summit and the Beartrap expert trail, served by a new 1969 Carlevaro & Savio 373 vertical foot by 977 foot long double chairlift. 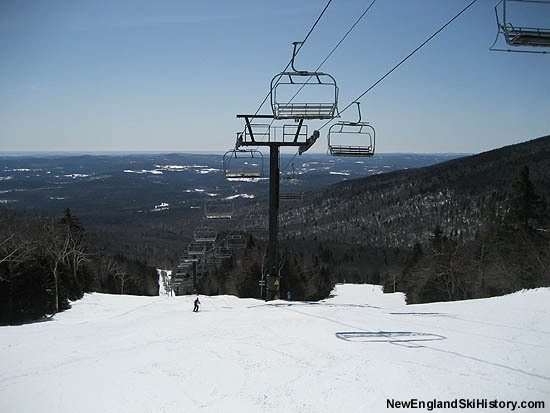 As such, only the Beartrap trail could be skied with one lift right - the other two trails would require riding up the Sunbrook Double back to the main mountain, then up a main mountain lift. 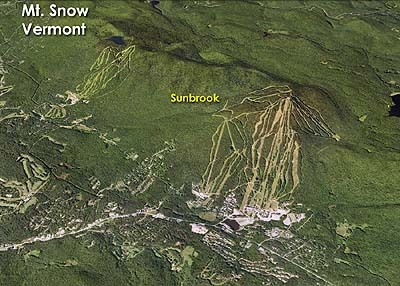 The Sunbrook Double was rebuilt with Yan parts in 1986 and subsequently became the Beartrap Double. 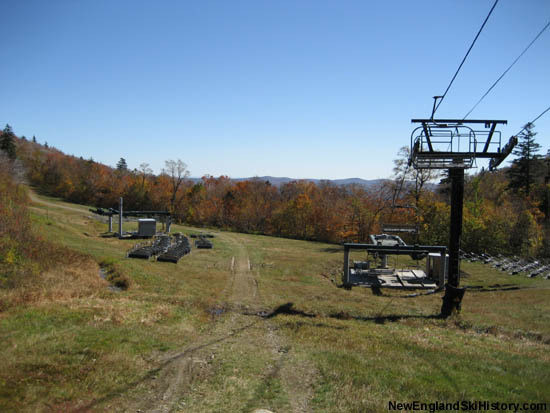 1990 saw Sunbrook becoming a full fledged area, as six new intermediate trails were cut. 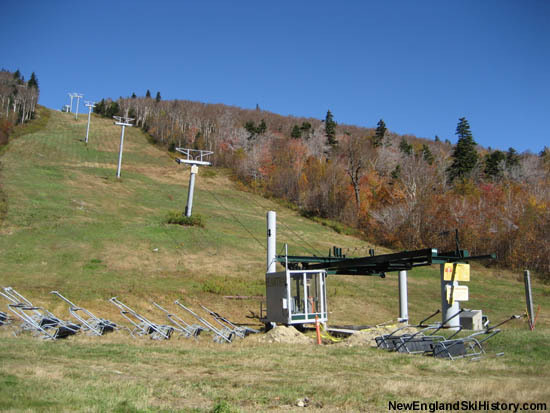 In addition, a new 4,430 foot long by 910 foot vertical CTEC fixed grip quad was added from base to summit, thus allowing for top to bottom skiing without having to use main mountain lifts. 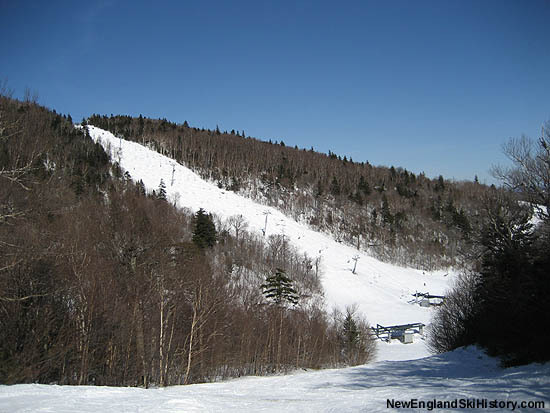 The Sunbrook area was considered at one point to be the starting point for a connection to the Haystack ski area. 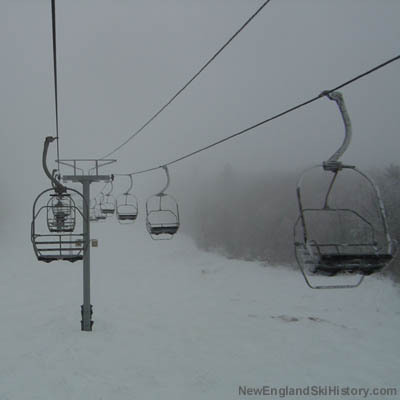 Due in part to the relative slow speed of the quad in comparison to high speed quads elsewhere on the mountain, the Sunbrook quad has not consistently operated on a full time basis. 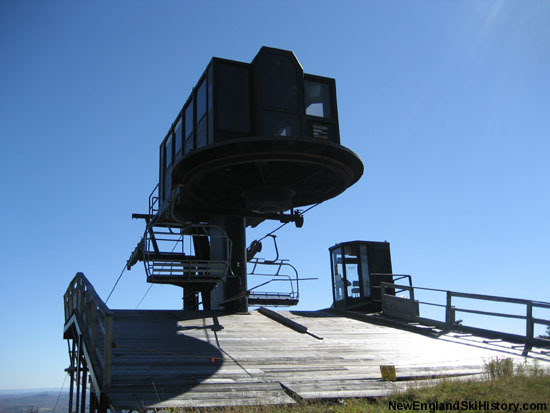 Efforts were made to operating the lift at a faster speed, however as of 2010, there are now plans to replace it with a high speed detachable quad.